“Ida B. Wells is a woman who changed my life. Reading all these things and learning what this woman [has] done, made me feel very passionate about what I do. It made me want to not just keep this for myself, but to share this, for our young people, for today and for generations to come.” Leona Harris, curator of the Wells-Barnett Museum, spoke these powerful words in a 2003 article of the Chicago Tribune. This quote, as well as others, expresses just how powerful and widespread the legacy of Ida B. Wells-Barnett truly is. She is known for her fight for civil rights, her stance for women’s rights and her contribution to the journalistic world. Her battle for civil rights was not limited to race; she also fought for women’s rights. In 1913, after establishing the Alpha Suffrage Club in Chicago, she decided to participate in the Woman Suffrage Parade in Washington, D.C. Although Wells-Barnett was asked to march at the back of the parade because of the color of her skin, she ignored the orders of women’s rights leaders and marched with the Illinois delegation. As she joined in, two other white women marched alongside her. Although she was not accepted because of her color, she did not back down from fighting for women’s rights. The efforts of Wells-Barnett and her fellow suffragists came to pass when women were granted the right to vote in 1920. She tested boundaries rather than conforming to the expectations of the men and women of her time. 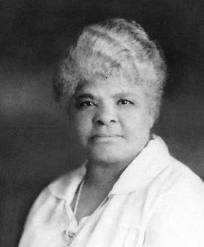 People today are more than moved by what Ida B. Wells-Barnett did. They are truly inspired by her. Wells-Barnett was more than someone who spoke up for African American people and women. She sought equal rights for all individuals. Although she was not able to see what a huge impact she had on society, her legacy can be seen in the passage of laws such as the Civil Rights Act of 1964, in continued community reform efforts in Chicago, and in initiatives such as the Ida B. Wells Foundation, established by five of her grandchildren in 1988. Her ideals are perhaps best exemplified in her own words: “The way to right wrongs is to turn the light of truth upon them.” These words and ideals will continue to inspire future generations of Americans. With contributions from Brandon Rupert. Folkerts, Jean. Voices of a Nation: A History of Mass Media in the United States. Voices of a Nation: A History of Mass Media in the United States. Cited in Patricia Ann Schecter, Ida B. Wells-Barnett and American Reform, 1880-1930 (University of North Carolina Press, 2001), 89.